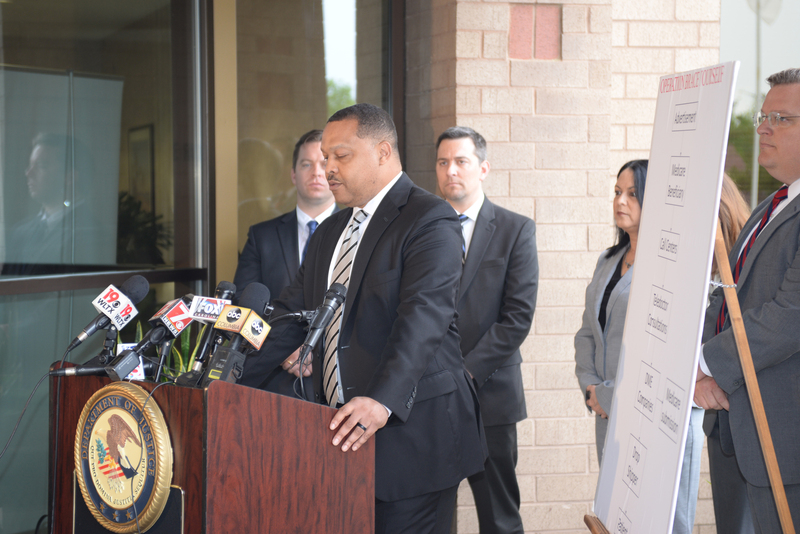 FBI Columbia Special Agent in Charge Jody Norris is joined by officials from multiple agencies an April 9, 2019 press conference announcing charges against 24 defendants in a $1.2 billion Medicare fraud scheme. FBI and Department of Justice officials today announced the disruption of one of the largest Medicare fraud schemes in U.S. history. An international fraud ring allegedly bilked Medicare out of more than $1 billion by billing it for unnecessary medical equipment—mainly back, shoulder, wrist, and knee braces. The FBI and partner investigative agencies announced charges against 24 people—three were prescribing medical professionals, and the rest were owners or high-ranking officials in medical equipment or telemedicine companies. The indictment alleges the scheme has gone on for about five years. According to the indictment, the equipment companies encouraged patients to use telemedicine doctors for maximum efficiency. “The telemedicine doctors did not have a relationship with the Medicare patients and could not physically examine them,” the indictment said. More than 100 equipment companies will have their Medicare payments cut off as part of the operation, according to the release. The massive, months-long investigation known as Operation Brace Yourself spanned 20 FBI field offices and involved several partner agencies, including the Internal Revenue Service’s Office of the Inspector General, the Department of Health and Human Services’ Office of the Inspector General, Center for Medicare and Medicaid Services, U.S. Secret Service, and the Department of Veterans’ Affairs.